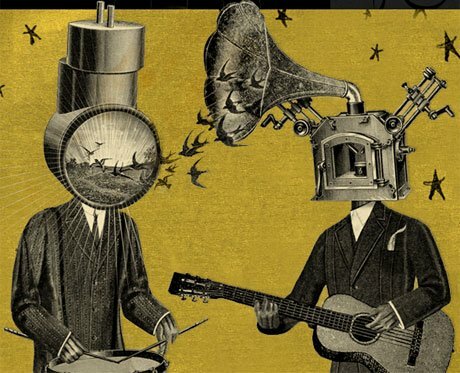 Earlier this week, we learned that Neutral Milk Hotel will be getting back together this fall to play their first shows in over a decade, but apparently there are more concerts in store for the beloved indie crew. While the band themselves had hinted that there are "more to come," an interview with the group's booking agent Jim Romeo, of Ground Control Touring, sheds a bit more light on the situation. Not too much, mind you, but enough to have the fans drooling over the idea of more dates in the months to come. "People should know that they shouldn't get discouraged if they don't get tickets to these few shows," Romeo told Pollstar [via Pitchfork]. "There will be some more fall shows announced soon and a much longer and fuller tour planned for 2014 that will span the globe." Details on the additional dates have yet to arrive, but hopefully that means Canadian fans are in for a few shows. At the very least, Romeo's reveal sets out the band's goals way more than their poetic press statement the other day. You can see Neutral Milk Hotel's schedule as is, opening with a two-night stand in their hometown of Athens, GA, down below.